The chapter examines the main features of Australian citizenship, and the way it has changed from an older Australia that was predominantly White and British, to be more diverse and pluralistic, infused by decades of multicultural migration. 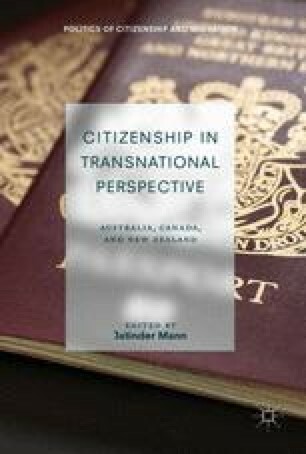 The chapter is organised in sections to highlight aspects of the changing character of Australian citizenship: the development of citizenship institutions from British subject to Australian citizen, the Founders’ views on real citizenship that underlay formal subject status, White Australia that shaped nation and citizenship until the early 1970s, Aboriginal exclusion as citizens without rights, citizenship and multiculturalism, and some concluding remarks on citizenship in modern Australia. These are all large topics that are only briefly and selectively referred to in highlighting aspects of Australia’s changing citizenship institutions and culture.